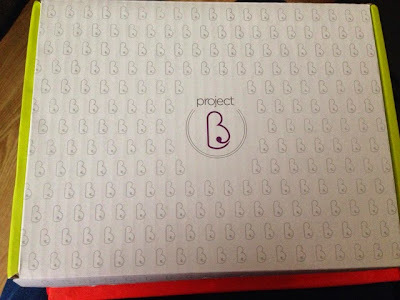 You may remember that a few weeks ago, I reviewed my first Project-b box tailored to weeks 12-15 of pregnancy. Last week, I was thrilled to receive my second box which is tailored to weeks 16-19. This months theme is 'Blossom' as by now morning sickness should be gone and now you should be enjoying pregnancy which is very true in my case! My items came beautifully packaged as before, in a branded Project-b box with the items wrapped in tissue paper and sealed with a Project-b sticker. Similarly to the last box, we have 4 flash cards with information on this. 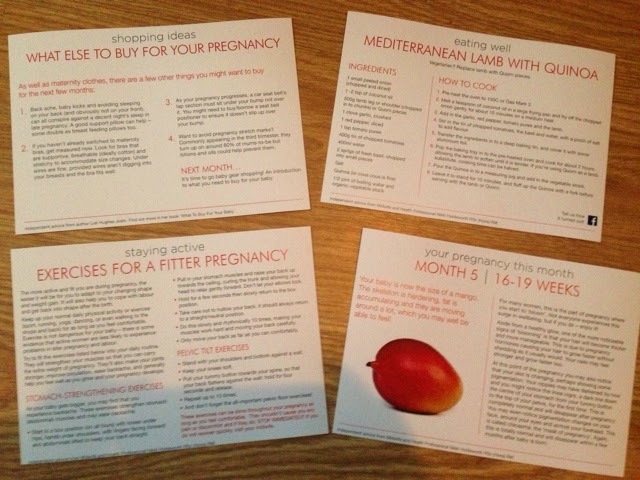 The topics this time around are What Else to Buy for your Pregnancy, a Mediterranean Lamb with Quinoa recipe, Exercises for a Fitter Pregnancy and information about pregnancy during weeks 16-19. All very useful and I can't wait to make the lamb dish! 1. Ginvera Green Tea BB Cream sample - I've never used a BB cream before but it's said to provide the benefits of blemish-free concealing, sun block (SPF 30), moisturiser and fine line reducer. My skin has been really dry lately so I'm hoping that the moisturising aspect does wonders for it! 2. Weleda Oat Replenishing Shampoo & Conditioner samples - I've heard of Weleda before but never actually tried the brand so I was happy to see these included although I generally don't like samples in subscription boxes. The precious oils in these products revitalise your hair and scalp and restore your hairs natural shine and strength. My hair seems to be really greasy all the time and I did see a change in it but I would have liked to have seen full sizes as I only got one use out of them. 3. Super Drinks for Pregnancy book - Although the name might suggest that there are only drink recipes in here, but there are some soup recipes included too. I do worry that I'm not getting enough nutrients for both myself and the baby so I'm really excited about making my way through this book. I don't drink enough so I think that it may help me ensure that I drink enough and with summer coming in, the drinks will be a good replacement for cocktails! 4. bloom bump and baby Stretch Mark Defence Body Oil sample - I received a few stretch mark samples in the last box and I was really happy to see more this time. Stretch mark oil can be really expensive (especially with the amount that I'm slathering my tummy in!). This oil is handmade with natural ingredients and smells beautiful as it contains mandarin, lavender and neroli. 5. Joe & Seph's Gourmet Popcorn - What pregnant lady doesn't want to see food in a subscription box!? This is the item that I was most excited about and it was demolished almost straight away. I didn't feel guilty though because the popcorn is made from natural ingredients and is popped by hand so it has 10% fewer calories and has 35% less fat than leading crisp brands. All in all, I was pleased with this box as the book alone retails at £14.99 so paying £14 for the box is well worth it. I did however get a bit disappointed at seeing more samples. 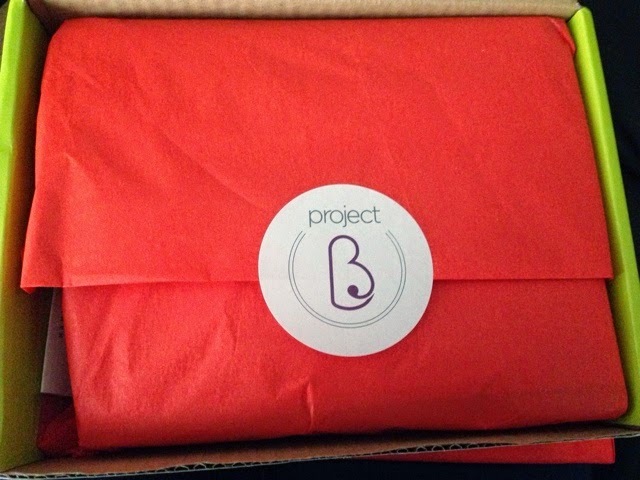 You can purchase your own subscription or just a one-off box at the Project b website.